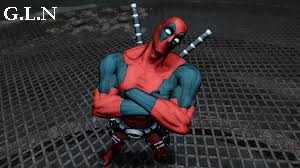 The upcoming Marvel comics superhero video game (Deadpool) is expected to have a release date for this summer. The game will be available on the Xbox 360 and PlayStation 3 consoles. Thus far, game news websites have only been able to put their finger on a 2013 release date. Now though, the superhero video game will definitely be out in the summer. Nolan North who has voiced Deadpool’s voice for a number of different media over the past few years will take the role of the characters voice. For a comic book game, Deadpool will contain sexual scenes and loads of blood and gore throughout. As for the cameras, it will be a third person type action/shooter game with a few extra guest appearances chucked in for good measure. Death, Domino and Cable will have cameos throughout the game. Expect to see more on this story as we cover it all the way until Deadpool actually gets it’s awaited release date in the summer.